We were very impressed with how everything was coordinated. We were especially pleased with how quickly we were able to check into all the hotels. In other tours, we have wasted a lot of time filling out the hotel forms, getting the keys, letting them see our passports, etc. This was not the case with All Right Travel & Luxury Tours . I have to say that the whole trip was wonderful. Everything was right for me. The destination, the free time, the organization, the choice of hotels, the food, the planes and especially the guide. Highlights are Istanbul and Ephesus. All Right Travel & Luxury Tours 's guide was an excellent guide - so knowledgeable and able to trouble shoot when needed. We enjoyed his "Turkish humor" and his amazing knowledge of history and archeology. All Right Travel & Luxury Tours 's guide was both personable and extremely knowledgeable guide. We never tired of his talks and he seemed to strike a good balance of informing without preaching or boring. He also showed a great deal of pride in showing us his home country and pointing out very interesting facts that we might have missed en route. We could not imagine a tour leader better at leading this tour than him! There were many spectecular moments on this trip: seeing ancient ruins, meeting warm people, experiencing a Turkish bath, cruising the Bosphorus and Mediterranean. It's hard to narrow it down to just one moment. Our guide was an absolute delight and always had more information available than we could possibly digest, despite all the questions we asked. He kept the tour running like clockwork, and he also encouraged us to give him feedback partway through the tour so he would know how to improve as we went along. I always felt comfortable asking questions of all types. I had excellent service from All Right Travel & Luxury Tours . Everything they sent or e-mailed was on time and full of all the info that I needed. The guide on any tour that I take in the future will pale in comparison to our guide,Selcuk in this tour. It was obvious that he loves his country and enjoyed showing it to us and introducing us to people he knows in the villages. His knowledge of history, art, religion and architecture is incredible. His excitement in sharing this with us was contagious. I do not know whether other tour groups have come together like ours did; but if Selcuk had suggested continuing on the road for another week, we all would have followed him without hesitation. I truly look forward to visiting Turkey again, maybe on an western Turkey tour with Selcuk...! Your office was great with its pre-trip communication and responsiveness to my queries. I was quite impressed with your service and have been recommending All Right Travel & Luxury Tours to my friends and families. Our guide was excellent and help from beginning to end - knowledgable, accessible, charming, very much in charge of the group but also very much wanting us to leave with some understanding of and appreciation for the wonders of her country. The whole trip was pretty much a spectecular for me. I guess Cappadocia was my favorite region because of the small villages, the people, the hot air balloon ride, visiting Goreme open air museum . Personally, Ephesus was the grand finale for me. Our guide is a treasure!--everything I hoped for. She repeatedly demonstrated tremendous intellectual depth on any subject and was well prepared, had a great voice, pleasant way sbout her, and had good command of the group. She always was alert and gave 110%. Her enthusiasm and her great love for her country were contagious. A 10 plus. He was the very best tour guide we have had with All Right Travel & Luxury Tours. I don't say this easily because every guide we have experienced has been extraordinary! He was our walking encyclopedia of ancient history and then all the aspects of Turkey we could ask. He seemed to enjoy us and the trip as much as we enjoyed him! The guide was just outstanding in every respect. I was extremely impressed with not only his knowledge of the history and culture of his own country, but his understanding of other cultures and his grasp of the political context of history and culture. In addition, he had exceptional English language skills, including American idioms, and delivered his information with warmth, humor and sensitivity. Finally, he was so thoroughly personable that he became essentially a friend to all of us in the tour group. In this special guided tour, you can experience the most fascinating features of this beautiful Eurasian country. First of all, we will explore the ancient Ottoman civilization through the modern metropolis of Istanbul. Afterward, we will take a flight to Cappadocia to discover the region's stunning landscape as well as witness the local culture. Then, off we go to Kusadasi to visit the ancient Greco-Roman city of Ephesus, and the traditional site of the House of the Virgin Mary. We will also see the Temple of Artemis, which is renowned as one of the Seven Wonders of the Ancient World. 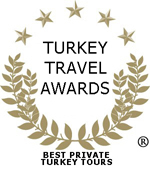 Explore the most popular and frequently visited places in Turkey - Istanbul and Cappadocia. In this extraordinary tour package, you can discover the country's opulent history and colourful culture. The best part is that you can enjoy it at your own pace, since you'll be having your own private tour guide and driver. You'll also be taking a delightful stay in a splendid luxury hotel. Experience the magnificent cultural highlights of Istanbul's rich history, starting with the historic Topkapi Palace. We'll also be stopping by the Grand Bazaar, the grandiose Haggia Sophia Church and the strikingly lovely Blue Mosque. Of course, no tour of Istanbul is complete without a visit to the famed Hippodrome of Constantinople, the commercial center of ancient Byzantium. Afterward, we'll take a leisurely boat ride on Bosphorus strait to witness the breath-taking vistas along its waters. You can enjoy your lunch at a fresh seafood restaurant overlooking the Black Sea. In the afternoon, you'll be taken to the Asian region of Turkey to visit some of the area's famous tourist attractions. On the way back, we'll be stopping Ortakoy, a charming fishing village. Walk through the city's modern wonders, such as the colorful streets of French-influenced Pera, Beyoglu. Take a stroll by the classic quarters along the Golden Horn, where Jewish and Italian communities flourished. You can then witness the cultural and religious diversity: observe ritual pilgrimages to Eyup Sultan Mosque, then view the ornate Byzantine mosaics in the Church of the Holy Savior in Chora. Afterward, we'll be visiting grandiose historical landmarks, beginning with the impressive Topkapi Palace Museum. We then proceed to the Hagia Sophia, the Blue Mosque, the Grand Bazaar and the Hippodrome of Constantinople. On the final leg of the tour, we'll sail through the aquamarine waters of the Bosphorus, stopping by a seafood restaurant for lunch. After exploring the exotic sights in the Asian region, we'll cap the day with a stunning view of the city, as seen from Ortakoy. This one-day trip of Istanbul may indeed be brief, but it will be full of exciting discoveries. You'll be visiting the wonderful city's most prominent tourist attractions - the Topkapi Place, the Grand Bazaar and the Hippodrome. You'll also be seeing wonders of religious architecture such as the Blue Mosque and the Hagia Sophia. This tour can be customized to suit your own preference, and you will have a private tour guide. This also includes comfortable air-conditioned transportation that will pick you up and drop you off at your cruise ship at the port. Go on an Old City Tour, complete with a private guide and a comfortable deluxe vehicle. After you are picked up from the harbor or airport, you'll be spending 2 nights and 1 day in Istanbul. You have a variety of hotel options so you can be as comfortable as you want to be. For your convenience, you'll also be taken back to the harbor or airport for your departure. Go at your own leisurely pace as you explore Turkey's most popular tourist destinations - Istanbul and Cappadocia. Discover the country's multifaceted culture and its wonderful history with the help of a private tour guide and a driver. You can even stay in a most agreeable boutique hotel. Discover the wealth of Turkey's history by learning about the Ottoman Empire as you take a trip through Istanbul. You and your guide will then travel to spectacular Cappadocia, where your will find natural, historic and cultural wonders. After which, you'll catch a flight to Kusadasi, to see the ancient Roman city of Ephesus, the House of the Virgin Mary, as well as the Temple of Artemis, which is one of the Wonders of the Ancient World.